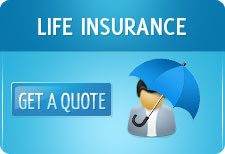 Online Insurance Quotes in India: Attrition amongst agents in the insurance industry. Attrition amongst agents in the insurance industry. The changed guidelines on ULIPs has resulted not only in the decrease in premium but also has led to a high attrition of the agents. ULIPs are market linked insurance products where the cash value varies according to changes in the market. The worst hits are those companies who don’t fall in the bancassurance sector. Since the strong agents channel is critical for these companies they are looking into all sorts of ways to contain it. According to the IRDA at least 10.45 lakh agents have left the business compared to 7 lakh who joined resulting in a net 35 percent dip. This attrition can be a direct result of the changed ULIP guidelines. These days ULIPs are not as attractive and lucrative as it used to be. This change had also resulted in a huge drop of premium collected. Subsequently the commissions earned also decrease something which is prompting agents to leave the business. The commission for selling ULIPs has been slashed from 15% to 5% now. Apart from this fall in commission, the performance of ULIPs has also instigated agents to take a break from it. Earlier some huge proportion of mis selling had happened where agents asked naïve customers to pay premium for three years and get a double return on the fourth year. Now with the poor performance of the market, these agents are seeking refuge and trying to stay away. Thus, when making or considering a claim against an agent for failing to procure insurance, the policyholder should keep in mind the possibility that a fiduciary relationship may have been created and breached.